Buy pink. Do Good. Need an excuse to shop without a hint of guilt? 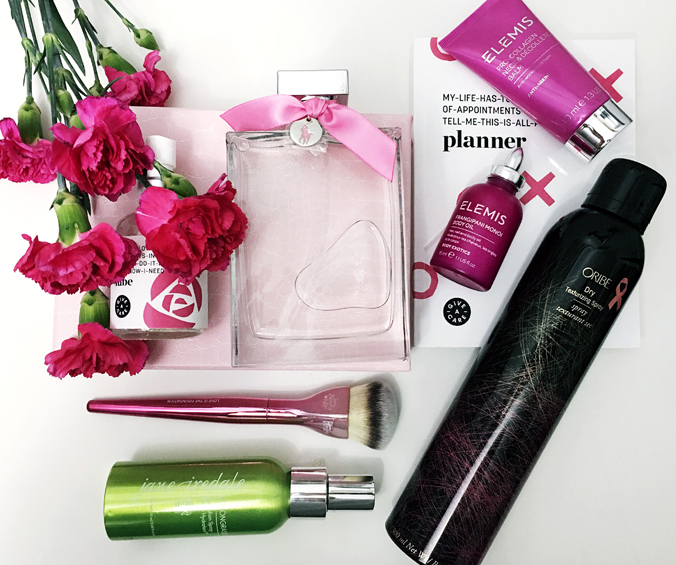 Here are a few of my favorite products, made over in pink, whose proceeds support breast cancer research. Ralph Lauren Midnight Romance Pink Pony Perfume – This October, Macy’s is once again inviting customers to “think pink” and show their support in the fight against breast cancer through an inspirational and fashionable campaign that heightens awareness and turns the fundraising focus on a disease that affects not only women, but those who love them. With this lovely new scent, you can smell good and support the Ralph Lauren Pink Pony Fund with 100% of profits supporting programs for screening, early diagnosis, treatment, research, and patient navigation. 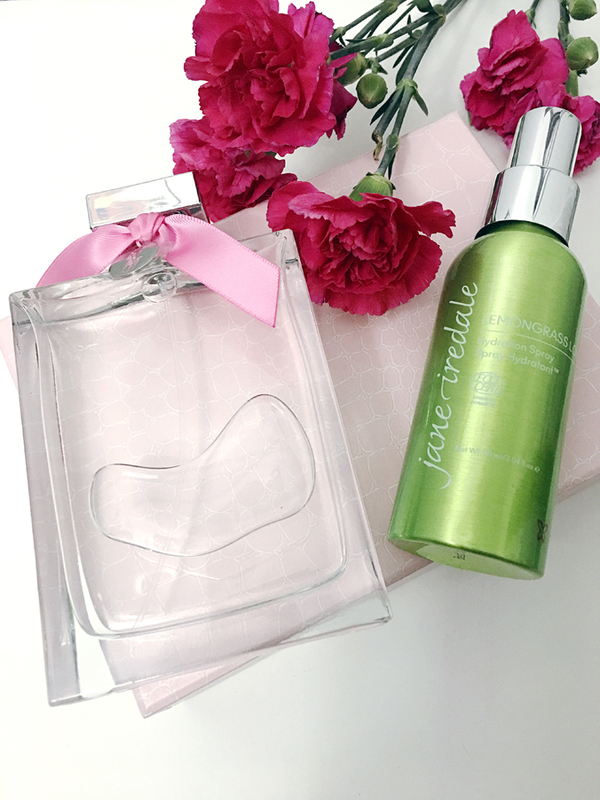 Jane Iredale Lemongrass Love Hydration Spray – Support women touched by breast cancer with a spritz of Lemongrass Love Hydration Spray. Energize both your skin and spirit, while fighting oiliness and the look of pores. Profits go to Living Beyond Breast Cancer and support thousands of individuals affected by breast cancer each year by providing a network of support through community meetings and free educational resources. Rethink Breast Cancer, whose mission it is to empower and support young people worldwide affected by breast cancer, is proud to announce the launch of Give-A-Care, the first line of products for young women with breast cancer that actually understands young women with breast cancer. 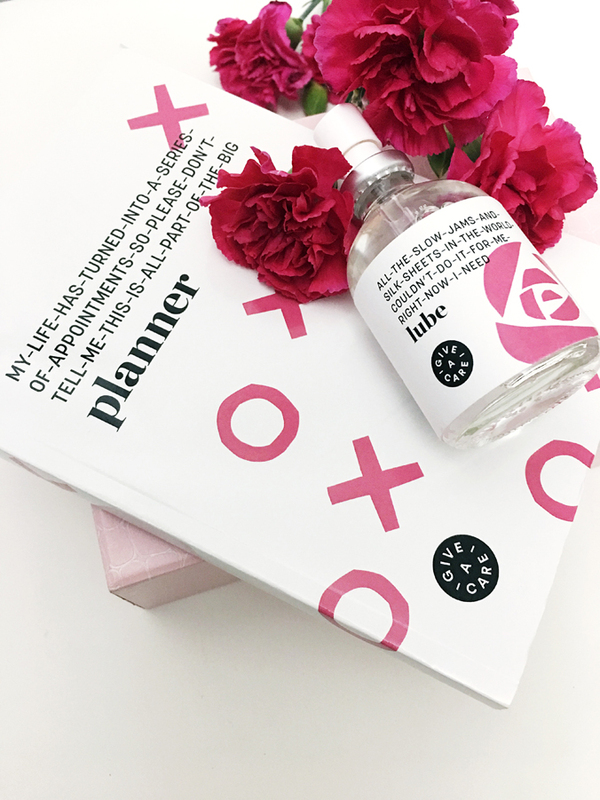 The collection includes everything from personal planners and lube to ginger candies and tummy tee to cozy cashmere with partners like Aveda, The Cashmere Shop and H&M. Priced from $2-$100, 100% of the proceeds from the Give-A-Care collection will go right back into Rethink’s work to educate, empower and advocate for those concerned about and affected by breast cancer. IT Cosmetics Love Beauty Fully Love is the Foundation Brush – IT’s so much more than just a brush! This limited-edition brush (in a cute heart shape) is luxuriously crafted – and supports a good cause: For every Love Beauty Fully Love is the Foundation Brush purchased during Breast Cancer Awareness Month, IT Cosmetics will donate one to the American Cancer Society’s Look Good Feel Better program to help women face the effects of cancer with confidence. Oribe Limited Edition Pink Design Dry Texturizing Spray – As you already know, Oribe’s Dry Texturizing Spray, includes wheat proteins and Pro-Vitamin B5 to thicken strands and add volume with aloe juice to nourish and boosts shine, natural flower extracts to defend hair from environmental damage, and zeolite crystals to absorb dirt and oils like a dry shampoo. The best part? The limited edition spray supports the National Breast Cancer Foundation. 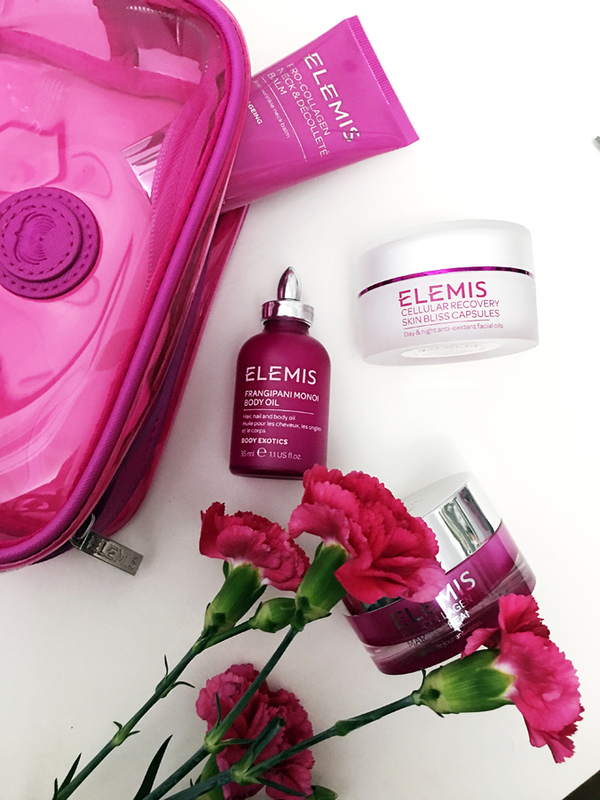 ELEMIS Hero Collection – ELEMIS is proud to donate annually to Breast Cancer Care to help them be there for people affected by breast cancer, every day, from day one. The Hero collection gives your body and mind space to unwind with harmonizing massage oils, firming balms, bliss inducing detox capsules and anti-ageing moisturisers. Be an everyday hero with beautiful glowing skin! 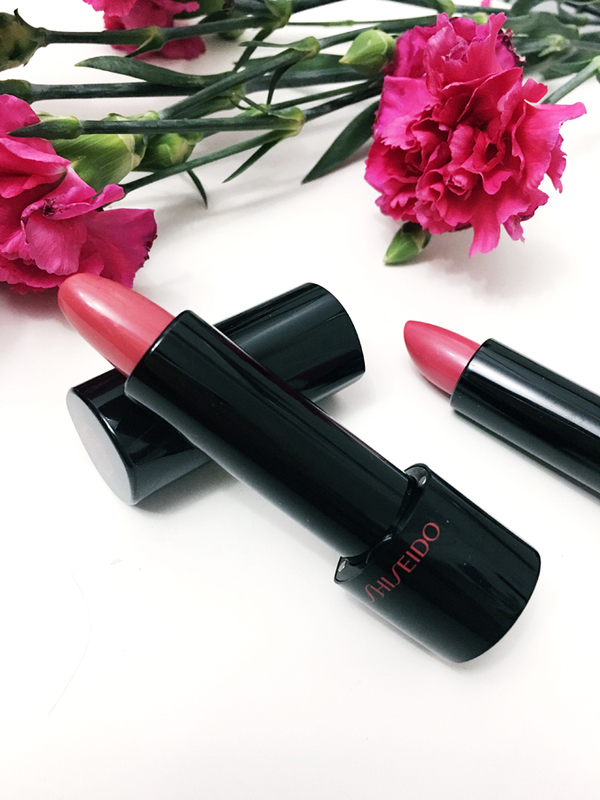 Shiseido Rouge Rouge Lipstick – Envelop your lips in vibrant red color, lasting luster and rich moisture with Rouge Rouge Lipstick. 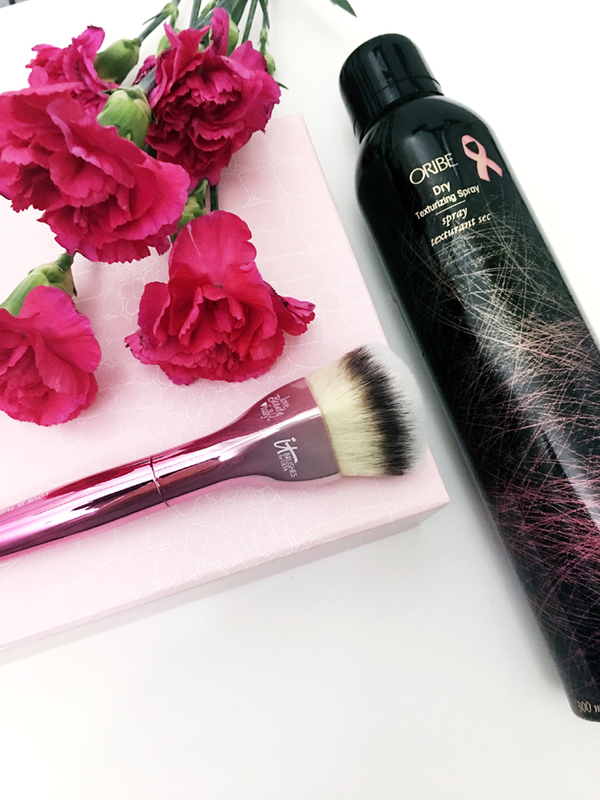 For the 10th consecutive year, Shiseido Cosmetics America partners with Cancer and Careers to harness the Power of Pink in Honor of Breast Cancer Awareness Month. With every purchase of Rouge Rouge in Murrey, Burning Up or Crime of Passion, Shiseido will donate $5 to Cancer and Careers.